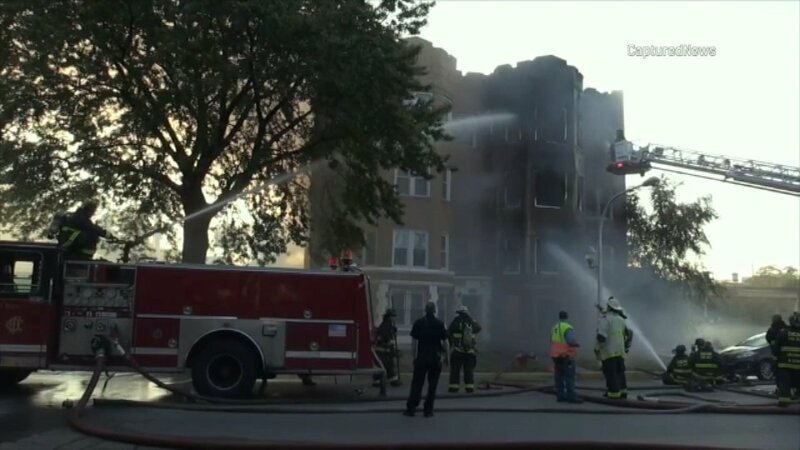 CHICAGO (WLS) -- The body of a missing man was pulled from the rubble of a burned out building on Chicago's South Side Monday morning. The family of Ricky Anderson feared his remains were still inside the building in the 5800-block of South Prairie Avenue since Saturday morning's fire. Several residents of the apartment building escaped the flames. Firefighters said they did not find anyone during their initial searches, but they went back Monday morning just before the building was set to be demolished and found Anderson's body. No other injuries were reported in the fire, which left three families homeless.